Photographs by Willoughby Gullachsen, no reproduction without permission. The photos are of ‘Urban Jungle’ a Robin Midgley, Pebble Mill, studio drama, from around 1985. 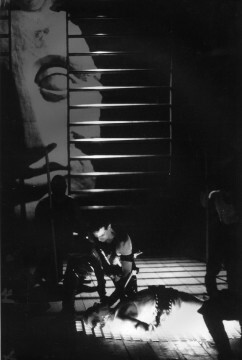 The main photo is of a technical run at Moseley Hall. 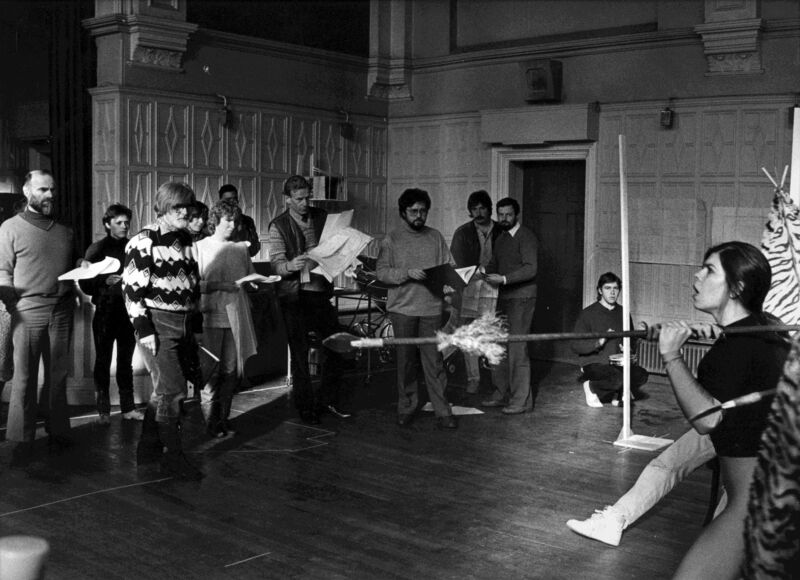 The large photo shows Robin Midgley himself on the left hand side, Sally Daniels (PA), Annette Martin (light coloured top), Phil Wilson (camera), Charlie Bond (production designer), Ian Tootle (AFM), Andrew Smith (1st AD) (beard, nr door on right hand side). The drama starred Roy Kinnear, Annie Raitt, and Tim Roth. Unfortunately it didn’t ever make transmission. Thanks to Gareth Williams for identifying the drama, he was a newly arrived floor assistant on the show. Tim Savage says 3rd from left is Sally Daniels, PA, and the left of 2 guys by door frame is Charles Bond, set designer. The other of the 2 was a floor manager, name as yet unremembered. Ian D Tootle was indeed the AFM – now a respected Line Producer. I’m sure Bill Hartley will remember this show – I’ll get on to him. Hi John, thanks for that – if you could find out from Bill Hartley what the drama was, I’d be really interested to know. This is Urban Jungle from about 1985 written I think by Garry Lyons. This is a tech run in Moseley Hall. Andrew Smith was the Production Manager. I was a newly arrived floor assistant. It starred Roy Kinnear, Annie Raitt and a young Tim Roth amongst others in a predominantly athletic and beautiful young cast. 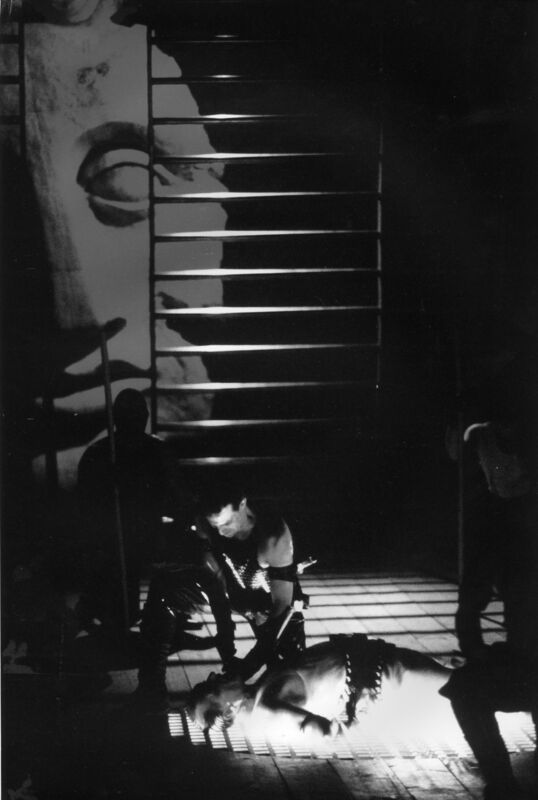 It had a really adventurous “3D” set – the burned out “Empire Mill” which in the rehearsal room was mocked up with scaffolding. Sadly it never made transmission. Thanks for identifying this drama, that’s really helpful, and I’ll update the original post accordingly.